Born in a poverty-stricken family, Huang Qiao’er lost her parents at an early age. She was raised by her aunt, who taught her textile arts. While growing up in a weaving mill, Huang develops a close bond with the neighboring dyehouse owner’s son, Fang Ning, who is in love with her. The outstanding results produced by Jinxiu Mill’s weavers earn them an opportunity to work in the palace. Through her friendship with the emperor’s niece, Zhao Jiayi, Huang is able to access the palace’s library thus gaining more knowledge of her craft from its collection beyond of what she has learned from her aunt. 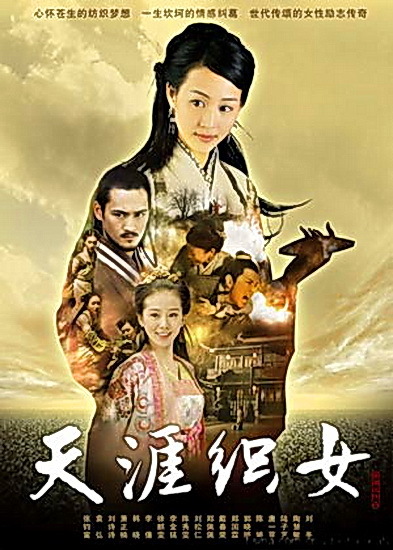 However, the Jinxiu Mill’s weavers also become embroiled in a power struggle between the emperor’s concubines, in addition to their rivalry with the Iridescent Cloud Mill’s weavers, who are also working there.While in the palace, Huang falls in love with General Lin Mufei, at the expense of sacrificing her friendship with the princess. Lin himself also rejects the princess’s affections, due to his prejudice against the imperial family members resulted by their corruption despite his vows to protect Song Dynasty in additions of being in love with Huang. However, Fang Ning has his legs crippled while saving Huang from being raped by Zhao Zhe, a corrupt official, during Lin’s absence as he’s in the battlefield. Feeling guilty for Fang’s plight and hearing rumours that Lin had been killed in battle, Huang decides to marry Fang out of pity for him. However, Lin has actually survived and he becomes heartbroken when he sees Huang marrying Fang. This complicates the love triangle between him, Huang and Zhao Jiayi.